Thermoelectric technology advanced by leaps and bounds both in industry and academics. New technologies by BioLite and Power Practical promise to be more reliable than solar panels in bad weather and at night. The following is a statement by John A. Conklin, CEO & President, New Energy Technologies, Inc. The combined installed capacity of the wind farms will be 402 megawatts (MW). 12/27/12, 02:00 PM | Solar & Wind | Carmanah Technologies Inc. In 2012, Mortenson erected approximately 1,200 turbines for 21 wind projects across eight states. North Carolina builder is the latest to join Southern Energy Management's ecoHOME program. Deloitte and leading clean-technology venture capital firm Tsing Capital officially gave the award to China's Cleantech industry honorees in a ceremony in Shanghai on December 6. Clenergy has continued to build a history of strong performance over the past three years, as measure by revenue growth and by positive environmental impact. The company is proud of its achievements and contributions in the new energy field and looks forward to bolstering its well-deserved reputation through future development. 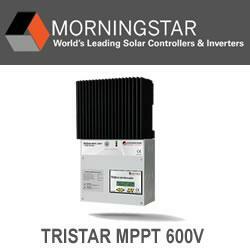 Clenergy's PV-ezRack Trapezoidal mounting system had recently accredited by T�VInterCert (Germany). The simple and cost-effective product is the company's new high-quality universal mounting system for PV-systems on trapezoidal sheet roofs.